Canonical’s Ubuntu operating system remains the most popular version of desktop Linux. But once the company stopped developing its own Unity interface, its focus moved elsewhere. Canonical’s eyes are now set more on the cloud than the device you’re reading this on. If Canonical no longer seems to care all that much about the Ubuntu desktop, why should you? Turns out there are plenty of reasons to stick with this particular version of Linux. Ubuntu has looked the same for a long time now. The desktop’s black, brown, orange, and purple Ambiance theme debuted in 2010. The Unity user interface appeared later that same year. These two components defined Ubuntu’s look until 2017, when Ubuntu switched from Unity to GNOME What Switching Back to GNOME Means for Ubuntu What Switching Back to GNOME Means for Ubuntu Canonical has announced the end of the Unity desktop. From Ubuntu 18.04, the GNOME desktop will be restored. What does this mean for Ubuntu, and its relationship with Linux users? Read More . But even after that transition, the theme remained the same. Now Ubuntu desktop windows and app icons have a new theme. The new desktop and icon themes, called “Yaru” and “Suru” respectively, come from the Ubuntu community. They bring the look and feel of Ubuntu Phones Is This the End for Ubuntu Touch? Is This the End for Ubuntu Touch? The Ubuntu Touch project is officially over, but that doesn't mean your Ubuntu phone is dead just yet. Here's what the cancellation means for you and what you should do next. Read More and the discontinued Unity 8 interface 5 Projects That Prove Unity Is Far From Dead 5 Projects That Prove Unity Is Far From Dead Struggling to come to terms with Unity's abrupt end? You're in luck. These projects will help you get the most from Canonical's abandoned desktop environment for years to come! Read More to the Ubuntu desktop. When it comes to traditional desktop applications, Linux lacks the diversity found on commercial operating systems. With so many different desktop interfaces The 12 Best Linux Desktop Environments The 12 Best Linux Desktop Environments Picking a Linux desktop environment can be difficult. Here are the best Linux desktop environments to consider. 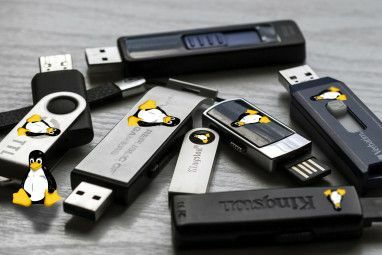 Read More , packaging formats How to Install Software on Linux: Package Formats Explained How to Install Software on Linux: Package Formats Explained You've switched to Linux, and want to install some software. But package managers differ depending on your distro. So which apps can you download and install? It's all in the acronyms. Read More , and back-end components Using Linux With Wayland? Here's What You Should Know Using Linux With Wayland? Here's What You Should Know You might have heard about the Wayland display server, but what is it? How does it affect you and your Linux computer? Here's what you need to know. Read More , many developers see the job as too much work for too little payoff. Those that do make the effort tend to target to largest player in town. When it comes to the desktop, that remains Ubuntu. Skype, for example, currently offers downloads in both Ubuntu’s DEB and SNAP package formats (though Fedora’s RPM format is also available). SNAP packages have also made it easier to download up-to-date versions of apps. This is especially helpful if you decide to stick with a long-term support release. Ubuntu’s software support doesn’t end with applications. Game developers often port their titles with Ubuntu in mind. The Steam website provides a Linux client aimed at Ubuntu. GOG.com only officially supports Ubuntu (and the Ubuntu-based Linux Mint). These sites and the games they distribute aren’t limited to Ubuntu. You can find ways to run them on other Linux-based operating systems. Some even make Linux gaming an easy job 5 Best Linux Operating Systems for Gaming 5 Best Linux Operating Systems for Gaming Linux isn't ideal for gaming, but it's absolutely possible! Here are five Linux distributions made specifically for gaming. Read More . But if things go wrong, the Ubuntu version is the one you where you can expect to receive help from game distributors or developers. Elsewhere, you will have to turn to the broader community and cross your fingers that fixes exist. Ubuntu is not only a desktop Linux-based operating system, it’s the foundation for many others. Linux Mint, one of the most popular alternatives 10 Reasons to Fall in Love With Linux Mint 10 Reasons to Fall in Love With Linux Mint Not sure which version of Linux to try out first? Linux Mint is a popular option, and one of the friendliest and most versatile versions of Linux available. Read More , is predominantly Ubuntu when you look under the hood. The same can be said for elementary OS (above). Ubuntu-based OSes may provide a different interface, but they can typically run many of the same apps, and they often use many of the same system tools. So if you grow comfortable using Ubuntu apps and tools, there’s a wide ecosystem out there you can explore without having to give these things up. 5. Do You Want to Develop the Cloud? The Ubuntu desktop is wildly popular, but despite Canonical’s various efforts at experimentation, it wasn’t profitable. This has been a question to hound Linux for decades. How do you make a living providing an open source desktop Why Linux Is Free: How the Open Source World Makes Money Why Linux Is Free: How the Open Source World Makes Money Just why is Linux and open source software free? Is it safe to trust free software? What do the developers get out of it, and how do they make money to continue development? Read More ? While Canonical was losing money on the desktop, it was making money supporting Ubuntu on the server. Hence the change in focus. Ubuntu has become a widely-used component in various cloud services and internet of Things devices. You can prepare yourself for employment in these spaces by getting to know how Ubuntu works. Despite over a decade of effort, Ubuntu never quite broke into the mainstream. Nonetheless, it has become popular enough for techie computer users to have heard of it. For many, the words Ubuntu and Linux might as well be interchangeable. 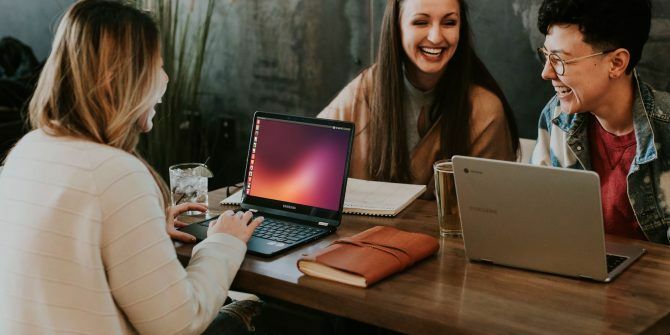 There are many great Linux-based alternatives to Ubuntu The Best Ubuntu Linux Alternatives and Why You Should Switch The Best Ubuntu Linux Alternatives and Why You Should Switch Just because Ubuntu is popular doesn't mean it's the right Linux operating system for you. Could a different flavor of Linux be a better fit? Read More . Can they do everything Ubuntu can? For the most part, yes. But they simply do not have the same name recognition. Even if you consider an alternative to be better, having to explain what your operating system even is can feel rather isolating after a while. Desktop Linux has come a long way since Ubuntu’s early days. 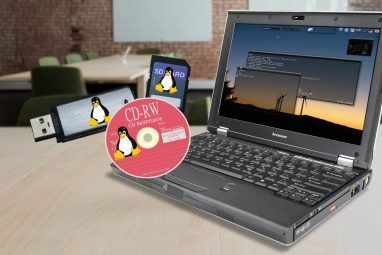 For the most part, Linux-based OSes are easy to install, desktop effects work without a hitch, and sound successfully comes from the speakers. Even with a plethora of packaging formats, finding and installing software is a largely straightforward affair. Gone are the days when users had to regularly build applications using source files. The GNOME desktop in the default version of Ubuntu GNOME Explained: A Look at One of Linux's Most Popular Desktops GNOME Explained: A Look at One of Linux's Most Popular Desktops You're interested in Linux, and you've come across "GNOME", an acronym for GNU Network Object Model Environment. GNOME is one of the most popular open source interfaces, but what does that mean? Read More provides a sleek and modern experience. It works so well that there was little reason for Canonical to continue investing resources in building an alternative. We may still use a lot of the same apps we used a decade ago, but they’ve improved with time. And the gaming landscape is vastly better than it used to be. Many peripherals you buy from the hardware store work simply by plugging them in. It’s a great time to be an Ubuntu user. Millionaire Mark Shuttleworth started Canonical in 2004 with the goal of promoting free software as a viable alternative to commercial OSes. For most of Ubuntu’s history, Canonical has been losing money. It has gotten by using Shuttleworth’s piles of cash, leaving questions as to what would happen to Ubuntu if Shuttleworth were to lose interest. In 2017, Canonical actually made more money than it spent (though it still carried a massive debt). The company cancelled Unity 8 and Ubuntu Touch, laying off hundreds of employees in the process, as part of its process to go public. Canonical may not be actively investing as many resources into developing its own desktop software, but maintaining the Ubuntu infrastructure remains a core part of its mission. Canonical needs this foundation to continue developing cloud technologies and encouraging others to adopt Ubuntu for such a purpose. So in a way, Ubuntu’s continued existence is more guaranteed than it has ever been. Do You Still Use Ubuntu? Some of the reasons to use Ubuntu have changed over the past few years. This has been a time of transition, and that can understandably make people concerned. But if you love Ubuntu, this remains a great time to stick with it. 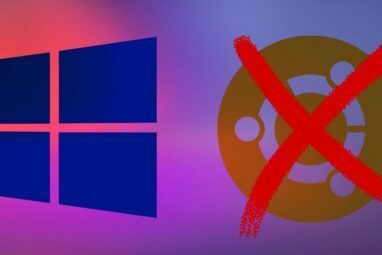 That said, despite the recent adjustments, there remain plenty of reasons to prefer using one of the many Ubuntu alternatives Why Use a Linux Operating System Other Than Ubuntu? Why Use a Linux Operating System Other Than Ubuntu? There are hundreds of Linux operating systems (distributions) but you're probably using Ubuntu. Here's why you might want to switch to one of the Ubuntu alternatives. Read More instead. Explore more about: Linux Distro, Ubuntu. The 8 Smallest Linux Distros That Need Almost No SpaceIBM Buys Red Hat: What Does This Mean for Open Source? I consider Mint Debian Edition aka LMDE, aka Mintian to be far superior in terms of looks and out of the box functionality to both Ubuntu and clean Debian. You could run Feren, which is based on Mint, which is based on Ubuntu, which is based on Debian. Actually, after distro-hopping for years, I came back to Mint. And Ubuntu MATE. And Kubuntu. Mostly. Back when Ubuntu published version upgrade ISOs, all was well, but once they went to Internet-only upgrades, I had three upgrade failures in a row (six months apart,) that reqquired a Nuke-and-Pave. I switched to the LTS version (24 month upgrades) and that failed due to degradation three times in a row at 18 months +/-1 month. So I gave up on Ubuntu and switched to a distribution that has good stability. Quit using straight Ubuntu when the goofy desktops started (Unity and Gnome3) . I still liked basic Ubuntu, so I switched to Ubuntu Mate and I am very happy with it. Ah the frivolous "btw I use Arch" user. There is at least one in every topic thread about anything and everything Linux related regardless of what the topics are. Good for you, but this article isn't about you. I ditched windows at the beginning of this year (2018), now it's nearly over and the only thing I miss about windows is the software that drives my laser cutter from Full Spectrum. I have dual boot and exist entirely on the Ubuntu side most of the time. I only switch partitions to run the laser. The instant Full Spectrum gets on board with Linux, I'm going to burn the rest of windows away. What’s the Difference Between Ubuntu and Ubuntu-Based Distros? Ubuntu MATE vs. Mint: Which Linux OS Should You Choose?